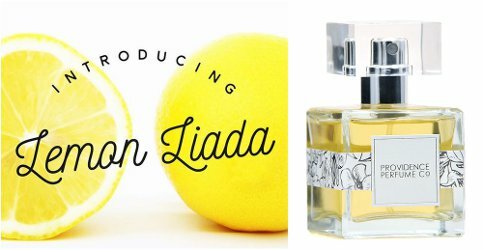 Indie natural line Providence Perfume Co has launched Lemon Liada, a new limited edition summer fragrance. Our annual Summer cologne has arrived! Welcome Lemon Liada. Each year we launch a limited edition cologne in celebration of the Summer season. Just as fleeting as the warm weather and sunshine is to New England, so is the availability of our summer colognes. Please note our colognes follow the original definition of a cologne. Not necessarily for men, colognes are the lightest category of scent, typically formulated at 3-5% aromatics and classically citrus or herbaceous in style. These light, fresh scents are meant to be applied liberally and frequently for maximum refreshment. Providence Perfume Co Lemon Liada is $100 for 50 ml Cologne spray, or $45 for a 5 ml rollerball. When you can find a god, refreshing lemon scent, its heavenly. I just hate when some come out smelling like dishwasher detergent or other cleaning agents. The bottle is cute. Its peaked my interest. I love lemon, but agree, it can come out wrong. I’ve really liked PPCs summer scents so far! I don’t recall seeing this one when I was in the shop two weeks ago, or I would most likely have tried it. I did sniff most of her EdPs, and although I didn’t love every one, I didn’t hate any of them. I am considering a blind buy of this one, since I do love lemon and the notes sound very nice.